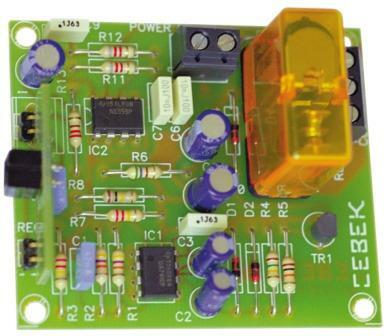 Cebek RJ-3 is a infrared light detector. Using reflected infrared light this module can detect objects placed within a 70mm distance of the sensor. The relay operates when the module detects the reflected light.